We want to welcome home builder and remodeling professional Homeowners Design Center to the network! If you have any remodeling or new home building plans this year, you might want to consider the consultants at Homeowners Design Center to help you make sense of all those building or remodeling details and put them all together. 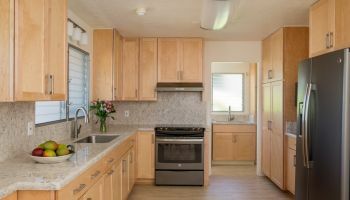 Homeowners Design Center is a locally-owned and operated company based in Honolulu and has been helping Hawaii homeowners with their home building and remodeling needs since 1969. They have a long-standing reputation in new home building and remodeling, with a diverse and experienced staff of consultants specializing in kitchen and bath design, home building, flooring and window coverings, all of whom can work together to provide you with a complete turnkey solution, in addition to design coordination, quality products and professional installation. They also provide free estimates. 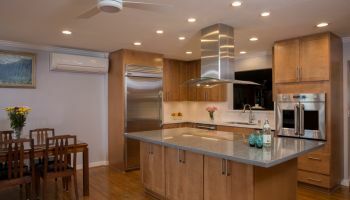 Headed by second generation owner Lori Matsushige, the consultants at Homeowners Design Center are specialists in their field with years of experience. They have the knowledge and expertise to assist you with just about any home building or remodeling need, whether it's remodeling your kitchen, building a new home, getting new flooring, choosing new window coverings, or remodeling your cabinets and countertops. Homeowners Design Center also offers a long list of quality building and remodeling products from well-known brands, such as Canyon Creek, Hunter Douglas, GE, Bosch and Armstrong, for a wide range of supplies such as cabinets, flooring, carpets, drapery, curtains, blinds, shades, countertops, granite, ceramic, porcelain, laminates, vinyl and hardwood. The diversity in their product lines can be seen in their large and elaborate showroom, where you can find samples of a wide selection of window coverings, cabinet lines and flooring products to choose from. If planning and budgeting your next building or remodeling project has added more gray to your hair than you ever wanted, Homeowners Design Center also holds free seminars on the second Saturday of every month. It's an in-depth seminar featuring a panel of experts in construction, finance and design to shed light on building a new home or remodeling an existing one. Remodeling and home building are time, labor and financially intensive endeavors, so the seminar is certainly worth a visit and could save you a lot of time, money and pain later. For more information, please visit their Website at http://www.homeownersdesign.com.